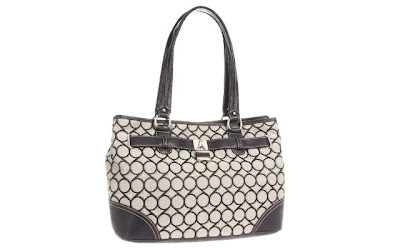 49% off the Nine West 9 Jacquard Shopper Satchel Handbag- Just $39.95 Shipped! The Nine West 9 Jacquard Shopper Satchel (in Black/Ivory/Black) is currently selling for just $39.95 on Amazon.com! You will be saving 49% off the listed price of $79.00 with this handbag deal.